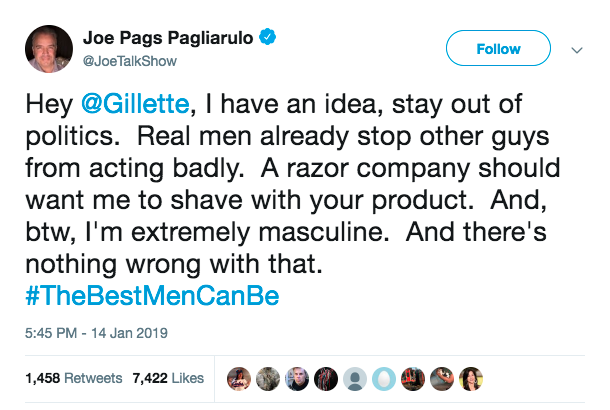 If the objective of the Gillette campaign was to spark debate and be a part of the dialogue for improving how men behave in society, it was a success. The fallout and apparent boycott from self-proclaimed lifelong customers will be seen by many as evidence of failure, but how often do these online boycotts translate into negative sales for companies? All publicity is good publicity, right? So is the problem more with the message, the delivery or who it’s coming from? Well, first let’s look at the figures. The video is the number 1 trending video today, with 10.6 million views on YouTube and 595k dislikes after 1 day. By comparison, the Nike “Dream Crazy” advert featuring Colin Kaepernick has 27.6 million views after 4 months, whilst the 2018 John Lewis advert has 12.9 million views and has been out for 2 months. Could the delivery be better? Okay, so the delivery isn’t great in my opinion, it plays to obvious and out-dated stereotypes about men and fails to either connect with or inspire me. However, my objection to the advert did not exist within the message regarding bullying and the way you should treat women. But if you have the voice, attention and budget to speak to a lot of people, there’s a strong argument that you have a responsibility to make that message worthwhile. Whether you’ve contributed in some way to a social problem in the past or not, it shouldn’t stop brands trying to change and be a part of the solution going forward, even if they profit from it both ways. Specific to this campaign, there is debate from both sides here as to whether this advert actually helps the issue it discusses at all. Does the delivery of the message actually impact sales? Remember the advert that suggested issues of police brutality and distrust in the Police amongst many black communities in America might be fixed with a can of Pepsi. The advert went out on the 4th April and impressions increased 21,675% from 3rd to 5th April. In addition, 53.3% of the mentions was categorised as negative. This negative blowback didn’t seem to affect sales too negatively with top line figures showing Pepsico revenue for the 12 months ending September 30th up +1.81% versus last year (YOY). This was better than the previous two years (+1.16% YOY in 2017 and +0.41% YOY in 2016). By comparison, Nike’s campaign on 4th September that also tackled social issues saw “Nike sales [grow] 31% from Sunday through Tuesday over Labor Day” compared to the year before. So it looks like if anything, disruptive campaigns like this normally help sales. Does the message come from the right place? Do brands and their advertising have any authority to speak on subjects that affect political and social issues in their campaigns? 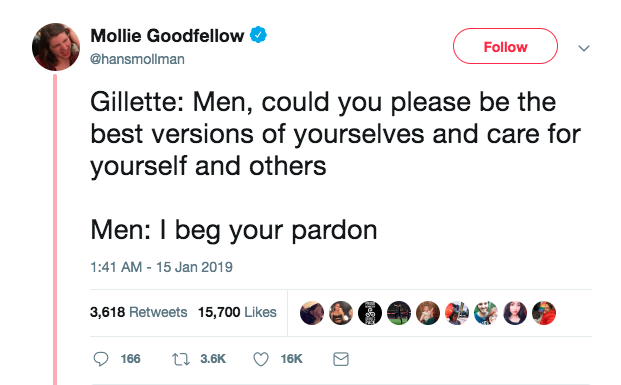 Gillette have been shaping the narrative about what it means to be a man or woman for decades and some would argue that it’s not right that they now try and profit from the shift in popular perspective around the subject. With their next campaign, will Gillette retract in the face of the criticism and revert to their more traditional message or continue to evolve into a brand less prescriptive of traditional gender roles? 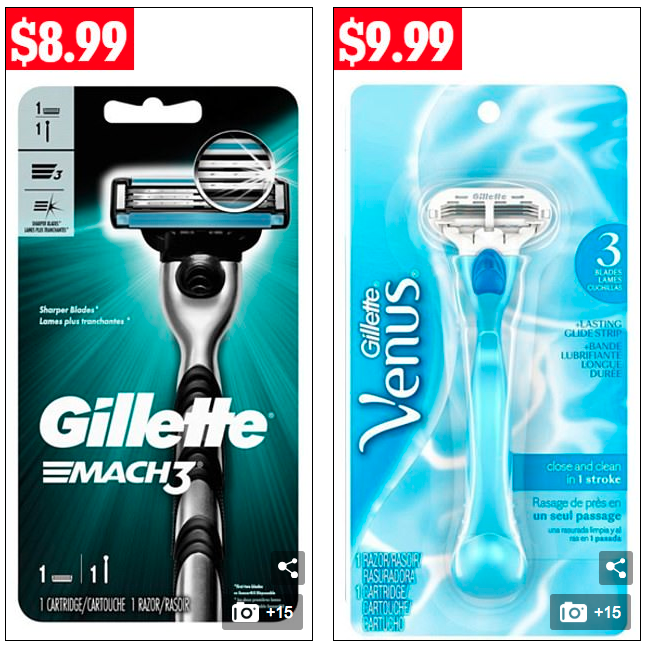 The Gillette Mach3 Razor for men costs $8.99 on the CVS website while the Gillette Venus Women's Close & Clean in 1 Stroke Razor retails for a dollar more at $9.99. We work with B2B and B2C clients on marketing campaigns and a common challenge our clients face is how to bring excitement, interest and emotion to a product or service that on its own might not be naturally inspiring. 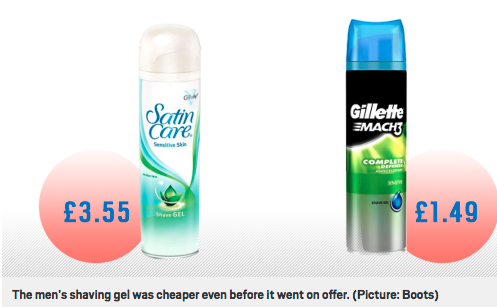 What this campaign has done is got us talking about masculinity and Gillette. Arguably it has made the brand more receptive to its female audience, but it will need to form a wider strategy. All of the above misses the point of course, which is that a lot of people are on the receiving end of bullying or harassment and we as a society can do better. In 2017, including only crime that was reported, it was found that one in five women have been sexually assaulted. In February 2018, research in the UK found that over half of children aged 11 to 16 have been bullied because of the way they look, with 40% targeted at least once a week. Meanwhile, in America between 1 in 4 and 1 in 3 students say they have been bullied at school. In America, a 2018 national report showed that 77% of women had experienced verbal sexual harassment, 51% had been sexually touched without their permission, 41% said they had been sexually harassed online, and 27% said they had survived a sexual assault. With statistics like these, perhaps more brands should be using their platform and audience to spread awareness of these very real problems. I would argue that a lot of people clearly do need a shaving company to instil better morals, if you're not one of these people surely you won't get offended by that?